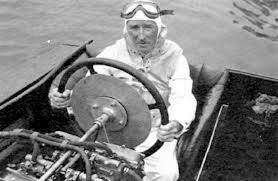 Jon Wilson’s 1920’s and 1930’s – a unique time in our history. Suggestions on to use this website. The first “Miss America” (1920) was a wooden boat built by Garfield Wood. It was powered by two aircraft engines and set a world record of 74.8 mph. Wood built nine more “Miss America” boats and raised the record to 124.8 mph. 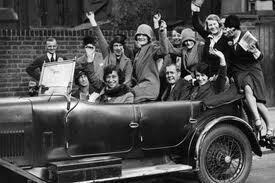 The “Miss Americas” we are most familiar with are the winners of the Miss America pageant first held in September 1921. The pageant began as a marketing plan by the Businessmen’s League of Atlantic City to keep tourists on the boardwalk after Labor Day. There were five days of festivities including tennis tournaments, parades, concerts, a fancy dress ball and seven different bathing divisions (children, men, and comic costumes). Everyone in town was dressed in bathing suits including firemen and policemen. 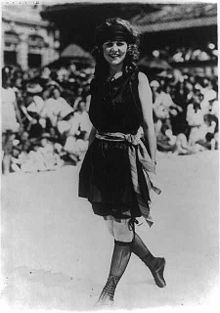 Garfield Wood’s first “Miss America” 1920. 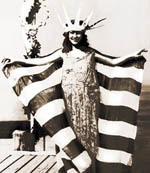 The first “Miss America Pageant” winner Margaret Gorman. 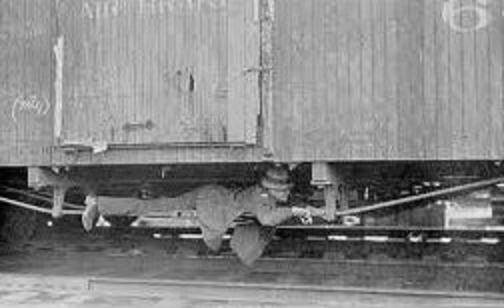 Garfield Wood invented the hydraulic lift for unloading coal from railcars and was the founder of Garwood Industries. His first high-speed boat was purchased from another Detroit native named Chris Smith. 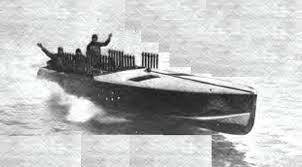 Garfield built boats using the name GarWood. Wood and Smith worked together for awhile but later separated. 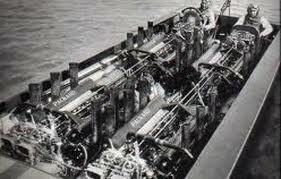 Chris Smith went on to found the ChrisCraft Company which also produced inboard recreational boats. Both companies, (ChrisCraft and GarWood) created some of the most sought after classic boats in the world. Margaret Gorman was sixteen when she won the Miss America title. She still holds the record for being the youngest winner and for being the smallest 5’1” 108 pounds. 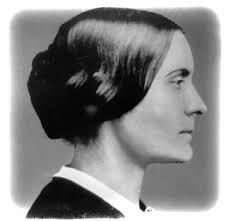 She had a long happy marriage. Margaret Gorman-Cahill died in 1995 at age ninety. This entry was posted in 1920's, Miss America and tagged 1920's, ChrisCraft, GarWood, Miss America, Wooden boats on February by Jon Wilson. This entry was posted in 1920's, 1930's, Ford Model A, Jimmie Rodgers and tagged 1920, 1920's, Model A Ford, Roaring 20's on February by Jon Wilson. The following is my take on Equal Rights for Women in the United States. Timeline 1769: The colonies screwed it up from the get-go by adopting the British system which did not allow married women to own property or keep their own wages. 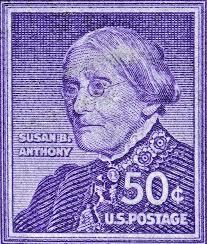 In 1878, Susan B. Anthony drafted a Constitutional Amendment giving women the right to vote. That took guts! 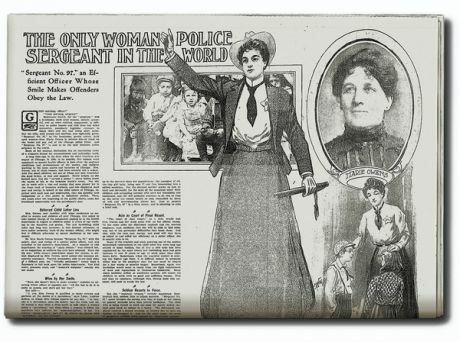 Isolated progress, 1891, Marie Owens was hired as a policewoman in Chicago. 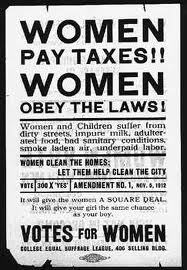 By 1900, all the states finally passed legislation allowing women to own property in their own name and keep their wages. Some states had dragged their feet allowing ownership only if the husband was incapacitated. Another ploy was not to allow women to manage the property held in their name. 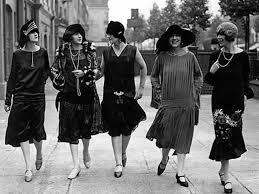 In the 1920’s, the Flappers arrived on the scene and kicked the doors down with: smoking, dancing, short hair, lipstick, short dresses, driving cars, and kissing. TADAAAAAAAA! 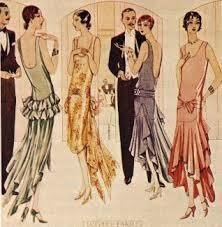 The 1920’s woman had emerged from her corset. 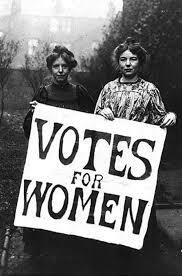 In 1920 the 19th Amendment, drafted by Susan B. Anthony 42 years earlier, was ratified and women could vote. 2014, if there is any doubt left about women’s right to equality, watch this 38 second video, that a friend of mine since kindergarten (author of Pampas Cat) sent to me. 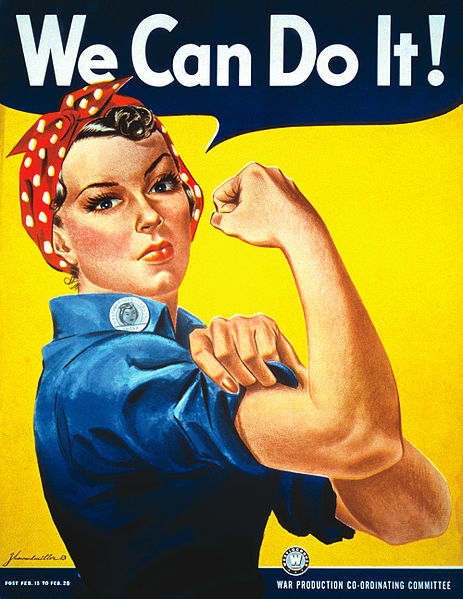 Women’s Rights in the United States have come a long way, but there is still work to do, not the least of which is the gender wage gap. The gender wage gap still exists. Women receive 77 cents while men receive one dollar. 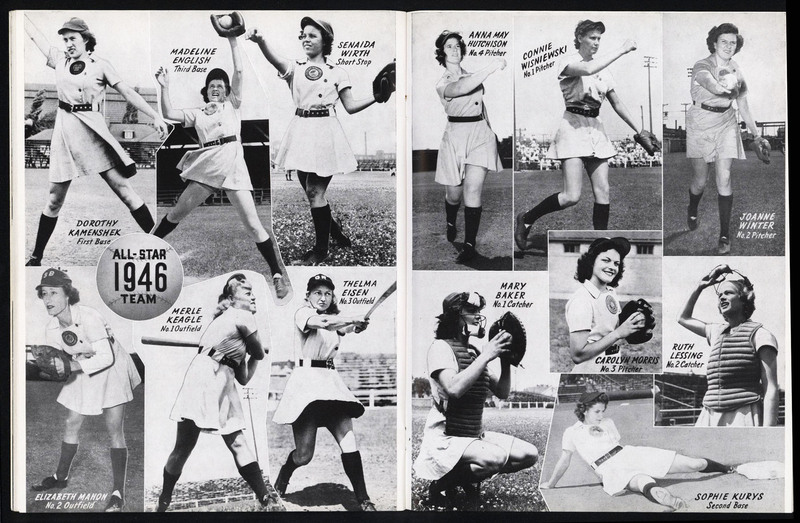 This entry was posted in Uncategorized and tagged 1920's, baseball, Constitutional Amendment, equal rights, Equal Rights for Women, flappers, Susan B. Anthony, Women's Rights in the United States on September by Jon Wilson. 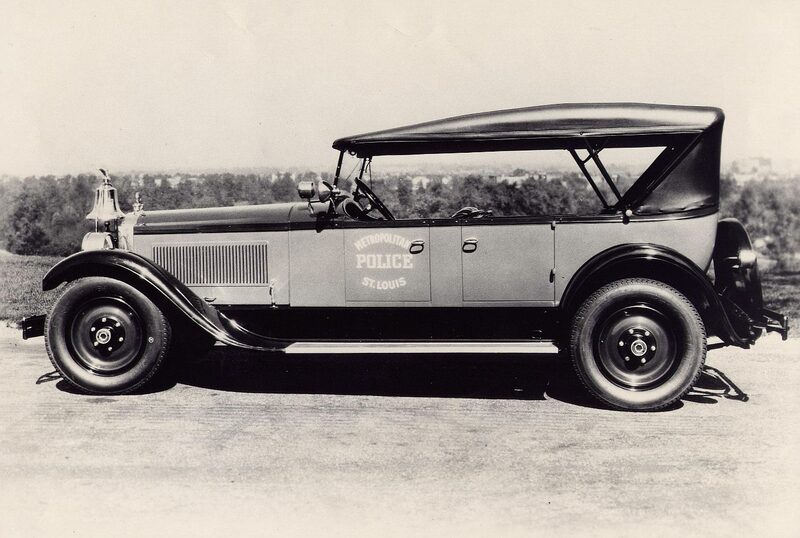 The Metropolitan Police of St. Louis drove 1928 Packards with shiny bells on the front. The Chicago Police, on the other hand, drove Fords and some green 1928 Cadillacs with black fenders. Behind the front grill, the Caddies were equipped with flashing red lights and a siren. So, you may ask, what did Al Capone drive? 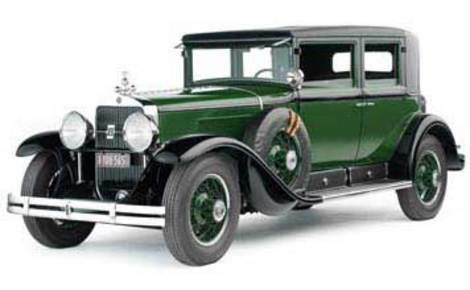 Al Capone also had a green 1928 Caddy with black fenders, a siren, flashing red lights, and a police band receiver. It was the twin of the police issue. In addition, it had 3,000 pounds of lead and one inch bulletproof glass all around. Capone’s 1928 Cadillac was so well fortified that for his own protection President Roosevelt used it after the attack on Pearl Harbor in December 1941. This entry was posted in Prohibition and tagged 1920's, American history, gangsters, Prohibition, Roaring 20's on August by Jon Wilson. 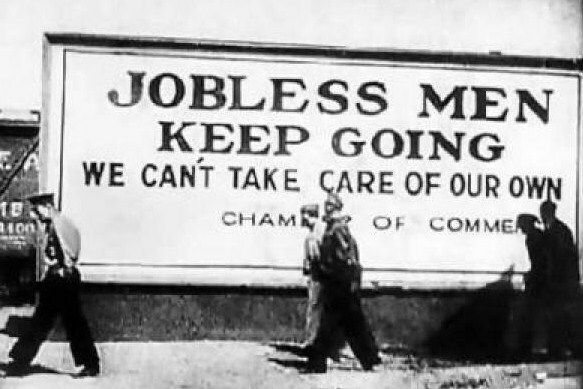 This entry was posted in 1930's, Depression Era and tagged 1920's, 1930's, American history, depression era, Roaring 20's on June by Jon Wilson.